View More In Cleaning & Care. 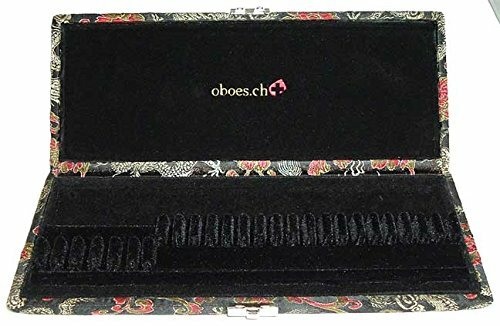 Ribbon-style reed case for 6 English horn reeds and 18 oboe reeds. It is covered in a beautiful gold dragon and red floral pattern on black silk. If you have any questions about this product by Oboes.ch, contact us by completing and submitting the form below. If you are looking for a specif part number, please include it with your message.